The cost of doing business in the country is quite high, and is said to be a concern to the private and business sectors. City Pharmacy and Telikom PNG Chairman Mahesh Patel, echoed this concern in a business breakfast in Port Moresby yesterday. 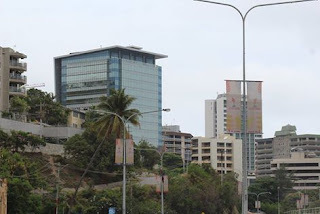 Mr Patel said that the transportation costs of shipping containers from Sydney in Australia to Port Moresby is quite high, and most businesses are discouraged by that to do business. He said that this resuledt in the additional costs passed onto customers. "It takes us 4 thousand kina to bring the container out from Sydney. "They taxed me. It cost me K8000 to get from Port Moresby to Hagen and K10,000 to the other stations," Mr Patel said. "So the movement costs are going to be huge a challenge and we need to work with private sector providers to bring the price down to the consumers. "Infrastructure development is another big challenge. We cannot expand to the other stations because there is no development," he said. "I can't remember new buildings or infrastructure built in a lot of small towns".